Do you want to create captures faster? GrabzIt is excited to announce we have just released a geo-targeting system! This applies to all captures that convert URLs, such as converting URLs to images, PDF’s and Word documents. This feature automatically calculates what capture server is physically closest to the website that is being captured and uses that server to perform the capture. 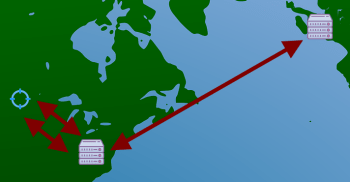 For instance if a website is hosted in New York City, it will use servers based in the United States. How do I use this? First you need to be a Business or Enterprise user to use this feature, next make sure you are not specifying a country the capture should be taken from. If both of these requirements are met then captures are automatically geo-targeted.